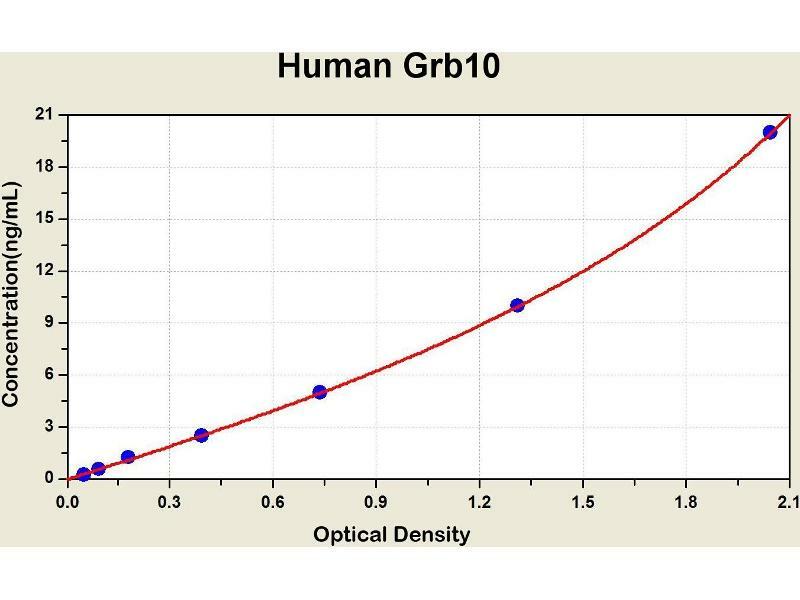 Diagramm of the ELISA kit to detect Human Grb10with the optical density on the x-axis and the concentration on the y-axis. 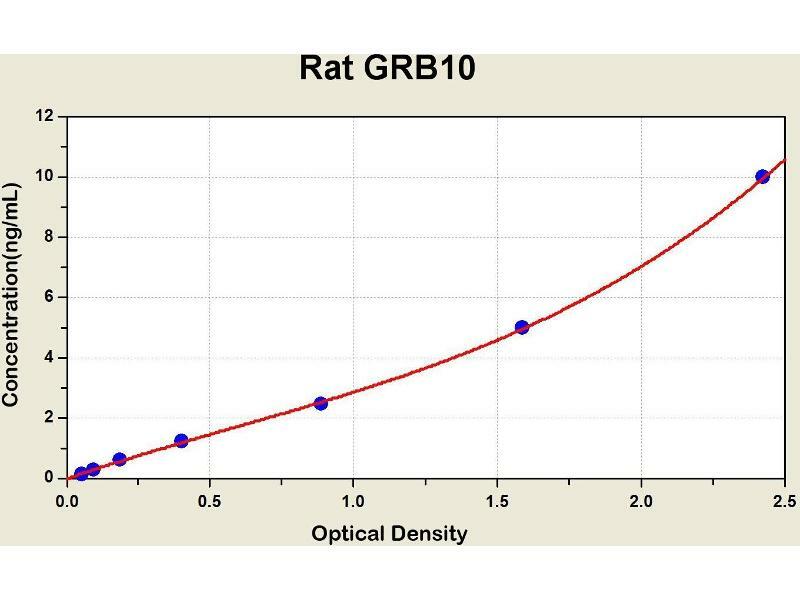 Diagramm of the ELISA kit to detect Rat GRB10with the optical density on the x-axis and the concentration on the y-axis. 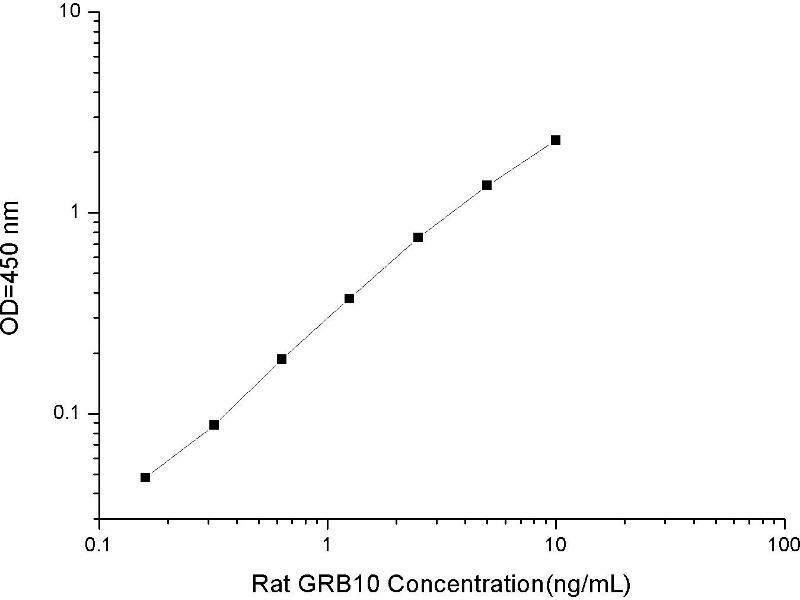 The product of this gene belongs to a small family of adapter proteins that are known to interact with a number of receptor tyrosine kinases and signaling molecules. This gene encodes a growth factor receptor-binding protein that interacts with insulin receptors and insulin-like growth-factor receptors. Overexpression of some isoforms of the encoded protein inhibits tyrosine kinase activity and results in growth suppression. 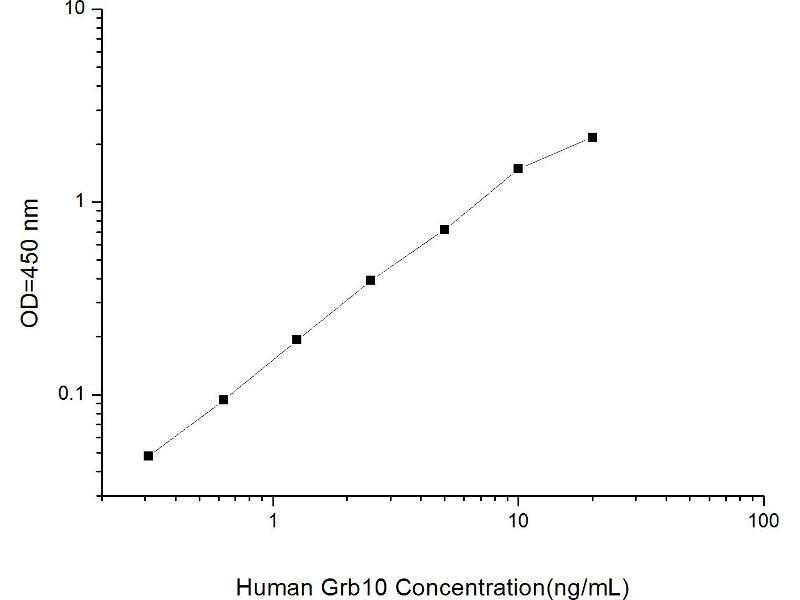 This gene is imprinted in a highly isoform- and tissue-specific manner, with expression observed from the paternal allele in the brain, and from the maternal allele in the placental trophoblasts. Alternatively spliced transcript variants encoding different isoforms have been identified.